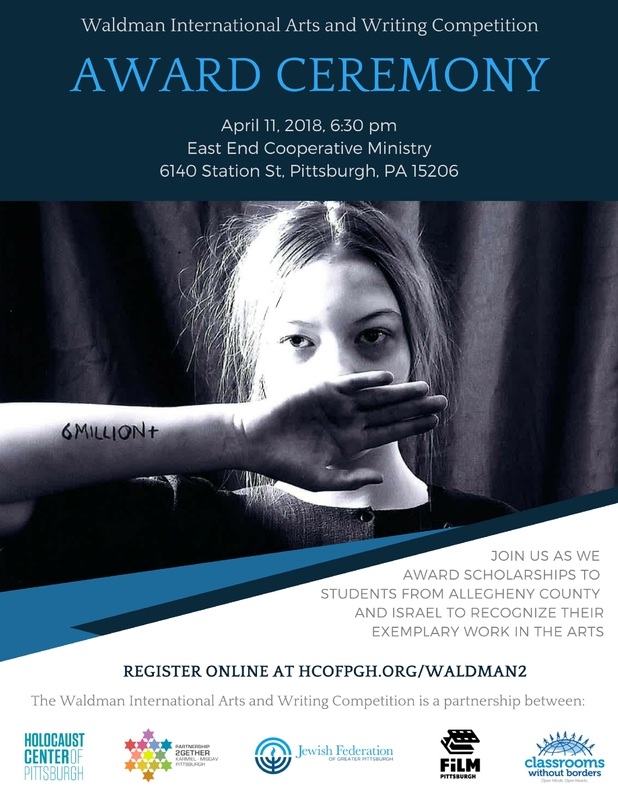 The Waldman International Arts and Writing Competition allows students in grades 6-12 to submit original art and compete for academic scholarships. There are categories in creative writing, visual arts, and short film. The theme for the 2017-2018 was Children in the Holocaust, 1933-1945. Participants come from across Allegheny County, and we also receive submissions from students in Israel. Israeli winners are brought to Pittsburgh to meet American winners and tour the city. Please join us as we honor this year’s winning student artists. During the ceremony, we will also be honoring the 2017-2018 Holocaust Educator of the Year.